The P50 extinguisher range represents a new and improved generation of fire extinguishers. With massive cost saving benefits, reduced weight and lower environmental impact, P50 extinguishers provide the first truly sustainable option whilst also offering enhanced performance and financial benefits. 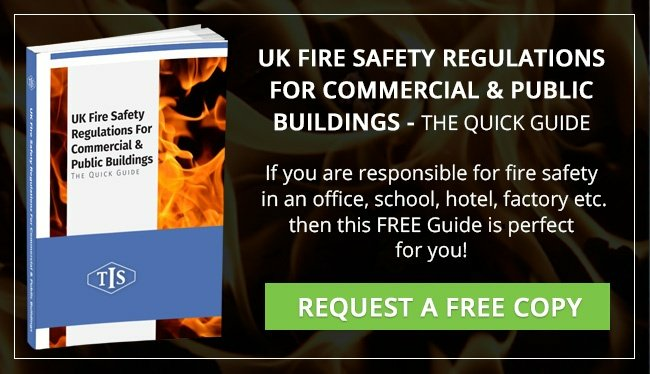 The main expense in relation to fire extinguisher provision is not the initial purchase price, but the cost of paying a third party to maintain the equipment. P50 fire extinguishers enable your business or organisation to carry out your own maintenance with a simple annual visual inspection, giving substantial savings year after year. P50 fire extinguishers are manufactured in the UK to the very highest standards. The exceptional quality of our products allows us to offer an industry leading 10 year quality assurance on material defects and workmanship across the entire P50 range with absolute confidence. All P50 fire extinguishers are supplied with a FREE site survey and installed by our fire extinguisher technicians. This will ensure that you have the correct level of coverage and that your new extinguishers are installed correctly to stand the test of time. In most cases you will see a reduction in the amount of extinguishers required. The complete range of P50 fire extinguishers has been manufactured to the highest quality, many approved under the Kitemarked scheme by the British Standards Institute to the globally acknowledged manufacturing standard BS EN3. To further enhance the cost saving benefits of P50 fire extinguishers we promise to provide FREE replacements for any extinguishers discharged fighting a genuine fire. Simply contact us with a valid fire incident number and details of the incident. P50 fire extinguishers need to be factory refurbished after 10 years to extend their lifespan by a further 10 years. The unique features of the P50 foam and powder fire extinguishers employ the design technology of composite materials pioneered by the aerospace and motor racing industries. The main construction of the P50 is a High- Density Polyethylene Aramid fibre (Kevlar®) type material woven onto the body, it is strong and incredibly light. The Aramid fibre type material is also used in butane/ propane gas bottles, towing ropes, bullet- proof vests, fire-proof gloves and many other products. British-made, the P50 extinguishers incorporate three patented elements – the weave, blow moulded inner body and a locking neck ring. The outer body is UV protective. The operational valve has double pressure indicators to ensure cross calibrating.